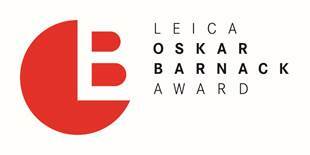 Leica Camera has announced that the submission phase for entries for the long-established ‘Leica Oskar Barnack Award’ photographic competition (LOBA) in 2017 has now closed. The international jury of experts will now judge the entries received and select the twelve finalists in the two categories of the competition, the ‘Leica Oskar Barnack Award’ and the ‘Leica Oskar Barnack Newcomer Award’. This year’s shortlist will be announced at www.leica-oskar-barnack-award.com on 20 June 2017. Approximately 2,700 photographers from a total of 104 different countries submitted entries to the LOBA 2017. The majority of the entries received came from China, France, Brazil, Germany, Italy, South Korea and the USA. The competition called for the submission of a self-contained series of between at least ten and a maximum of twelve images. The jury places a special focus on photographers who perceive the world with their ‘eyes wide open’ and document the interaction between people and their environment in a creative and ground-breaking style. The winners of the 37th LOBA will receive their prizes at a gala event in Berlin in September. The work of all twelve finalists will then be displayed at a major exhibition in the ‘Neuen Schule für Fotografie’, Brunnenstrasse 188-190, 10119 Berlin. The LOBA Magazine 2017, presenting the winners and finalists and their comprehensive portfolios, will be published to accompany the exhibition. 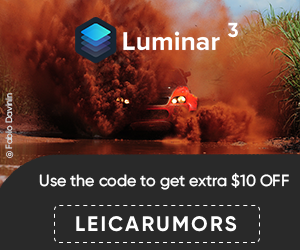 With prizes amounting to a total cash value of around 80,000 euros, the LOBA is one of the industry’s most prestigious photographic competitions. The winner in the main category will be honoured with a cash prize of 25,000 euros and Leica M-System equipment (a camera and lens) valued at an additional 10,000 euros. The winner of the Newcomer Award will receive a cash prize of 10,000 euros and will also be presented with a Leica rangefinder camera and lens. In addition to the two main categories, ten further submissions to the competition will each be presented with prizes of 2,500 euros.